The Defence of Andaman and Nicobar Islands Exercise (DANX-2017) was conducted under aegis of Andaman & Nicobar Command from 20 to 24 November 2017. The five day exercise came with an oberctive to practice and validate procedures and drills of all Command forces aimed at defending strategic Andaman & Nicobar Islands. Country’s first integrated lifestyle and banking digital service platform named YONO (acronym for ‘You Only Need One’) is set to be launched by the State Bank of India(SBI). YONO is first digital banking platform that will allow customers to meet their lifestyle needs across 14 categories including booking and renting cabs entertainment, dining experience, travel and stay etc. The Sub-Committee of Financial Stability and Development Council (FSDC) reviewed major global and domestic developments that could impinge country’s financial stability. The sub-committee meeting was headed by Reserve Bank of India (RBI) Governor Urjit Patel. The Multi State Mega Mock Tsunami Exercise 2017 was conducted by the Ministry of Home Affairs along the entire East Coast in 31 coastal districts across four States as a part of the 2nd World Tsunami Awareness Day (observed on November 5). It was conducted through National Disaster Management Authority (NDMA) and Indian National Centre for Ocean Information Services (INCOIS). An ordinance under Article 123 of Constitution has been passed by the President to amend Indian Forest Act, 1927 to encourage bamboo plantation by farmers in private lands. The ordinance omits bamboo (taxonomically a grass) grown in non-forest areas from definition of trees. The omission, thereby exempts it from requiring permits for felling or transportation of bamboo grown in non-forest areas. The Union Ministry of Petroleum and Natural Gas had organised a consultative workshop on New National Policy on Biofuels & Pradhan Mantri Ji- Van Yoja (VGF for 2nd Generation Ethanol Bio Refineries) in New Delhi for the promotion of Bio-fuels. Other objectives included the need to reduce dependency on import of crude oil, savings in foreign exchange, provide better remuneration for farmers and address growing environment concerns in the light of India’s Commitment at COP 21. India has sent a proposal to the United Nations (UN) for declaring the year 2018 as ‘International Year of Millets’. The same has been done in order to raise awareness about millets among consumers, policy makers, industry and Research and Development (R&D) sector. Lakhs of migratory birds have made their way to Chilika Lake (Odisha) after a long flight of thousands of miles as a regular flight period of the migratory birds during this period. Major bird congregations were spotted in wetlands of Nalabana Bird Sanctuary inside Chilika and Mangalajodi, a major village on banks of lake. The Union Government launched new all-in-one mobile application called UMANG with an aim to make Government services accessible on mobile phone of the citizens. The UMANG app offers 162 services from 33 state and central government departments and four states under a one-single platform. 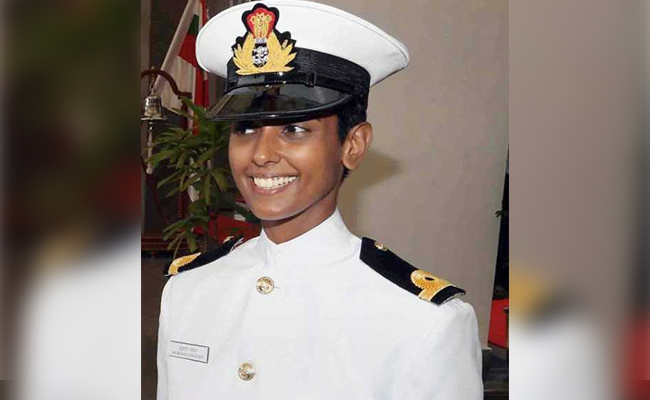 Shubhangi Swaroop became the first-ever female pilot to be inducted into the Indian Navy. She will soon fly Maritime Reconnaissance aircraft and now head to now head to INS Garuda in Kochi. She is native of Bareilly in Uttar Pradesh.